Hello everyone welcome to Aviation Dreamer. Here you can get the Aviation jobs notification and also Aviation Interview Tips. Which will help you to fulfill your Aviation Dream? So, in today’s articles, I am gonna write on the latest Job vacancy at Hamad International Airport. so if you are interested to work in Qatar here is the opportunity for you. Read this article without skip a single word to know the details to apply it online. Responsible for assisting the Safety Supervisors to implement and monitor compliance against safety procedures at the airside, directed by the safety officer. Monitor the contractors working on escorts and air, and is responsible for driving “follow me” vehicle to ensure safe movement of aircraft and vehicles. Relevant tertiary, Trade or Vocational Qualification qualifications or Diploma or equivalent. Experienced in airport safety management and operations. Supervise contractors working with escorts and aircraft, and the vehicle is responsible for “coming behind me” to ensure safe movement of vehicles and vehicles. Good knowledge of rules and safety procedures for the airport and understanding of rules, laws and operating procedures. He participated in formal training on air and got the license of Qatar Driver / Country License of his own. The ability to communicate humbly and wisely and interact with senior executives, colleagues and other employees. 3. Copy of Highest Educational Certificate. 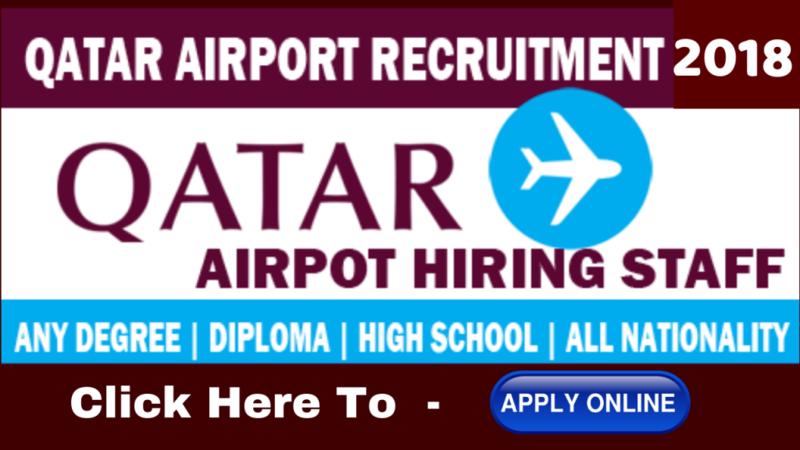 To Apply Online Click Here and visit Qatar Airways official website and fill out the form carefully. If you have any more question you can comment on the below comment box. Also, you can contact me on my Facebook page and Youtube Channel.